What started as a 100-day countdown before Christmas is now about waiting before we bid goodbye to 2015 and say hello to 2016. The adversities and difficulties we experienced the past year are now almost behind us and today, we look forward to the coming new year with much anticipation and excitement. And best we greet the new year by presenting a new version of ourselves—whether women and now, even men—not just with a new look but being healthy and beautiful inside and out. And this we can achieve by using a potent and powerful drink touted as today’s modern “fountain of youth”—HyC 150. HyC 150 is becoming popular for being the "secret weapon" of today's generation when it comes to looking young, feeling fit physically and emotionally and over all being great. Made by one of Japan's manufacturing firms, FINE Japan Co., Ltd., this potent food supplement in a sachet contains a worthy mix of nutrients and proteins to achieve that healthy and youthful you. When combined, these powerful nutrients offer substantial benefits to our bodies. During various clinical trials abroad, particularly Japan, North America and Europe, almost 93 percent of the users from both sexes said their hair, nails and skin showed remarkable improvements when used consistently. Credit goes to HyC 150’s mighty mix of 7 “wonder” nutrients and proteins like collagen, hyaluronic acid and ubiquinol, plus other active ingredients like Vitamin C, Biotin, Elastin and Pearl Coix, all renowned for their youth-inducing effects to help us become healthy and full of vitality every day. helps keep our skin protected from the harmful effects of being exposed to too much sunlight, pollution and other negative elements in the environment. One of the main ingredients of HyC 150 is hyaluron, where every HyC 150 sachet contains 150mg of this “lubricant.” Hyaluron’s gel-like composition is beneficial for keeping people active enough since it helps lubricate the bones in our bodies for it to move freely and much fluidity, even our eye tissues and aids in keeping our gums healthy. It acts as a complementary nutrient to collagen since it nourishes and hydrates the skin to keep it young-looking. It even helps keep a healthy scalp so our hair remains healthy and glossy all the time, and promotes faster healing of our wounds. Elastin, meanwhile, is a highly elastic protein found in the body’s connective tissue to keep our skin flexible enough. Every sachet has 15 mg of elastin to maintain skin elasticity. Pearl Coix, on the other hand, helps lighten the skin to make it refreshed, relaxed and more radiant all the time. Included as well in HyC 150 is 100mg of Vitamin C, a powerful antioxidant that protects us from certain types of cancer and helps us maintain a stronger immune system, while Ubiquinol (10 mg in every sachet) provides us with more energy. Ubiquinol is naturally produced by our bodies to block off a variety of harmful toxins. Plus, Biotin helps protect the hair and scalp so you’ll have nice and shiny hair. 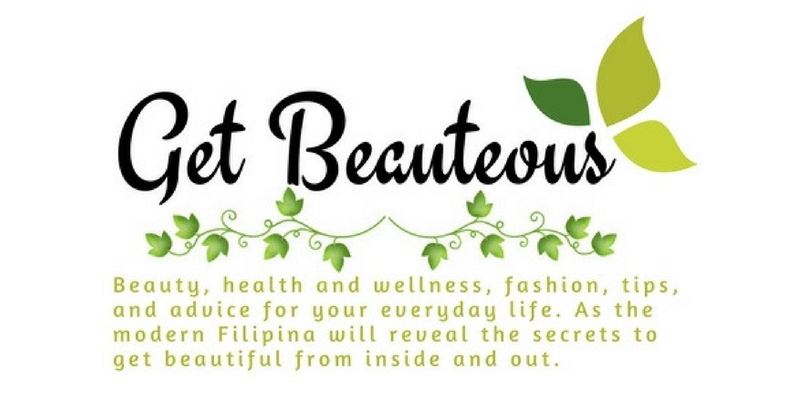 So forget all your health woes and other concerns for the past year and welcome 2016 with a healthy, youthful, vibrant, and brand-new you. Gals—and guys—we all deserve to be in good shape, and the good thing about it is it doesn’t take a lifetime to achieve that, thanks to HyC 150! HyC150 is available at selected Watsons stores nationwide and at online selling site Lazada (www.lazada.com.ph). For more information, visit our website at www.HyC150.com; “Like” us on Facebook (https://www.facebook.com/HyC150); follow us on Twitter #HyC150 or Instagram @HyC150, or call (02) 5467297, 09177750779. The International Feng Shui master Marites Allen gave a briefing on the luck indications for each of the zodiac signs to the members of media last Monday, December 7 at the Marco Polo Hotel. She said that not all animals signs are lucky during their year, the Monkey year is very fortunate for all Monkey-born people. The Rat, Dragon, and Snake who are all allies of Monkey, may have difficulties next year according to her. Starting on February 8, 2016 until January 27, 2017. The Fire Monkey will take over the Wood Sheep as the ruling animal on the Chinese zodiac. For Feng Shui followers, the changing of the lunar year brings different opportunities and certain challenges for each animal sign. RAT: very encouraging personal luck and very strong vitality levels. OX: certain forces in your chart will test your motivation and resolve. TIGER: inner vitality may be weak, but there is sufficient levels of success. RABBIT: auspicious stars indicate exciting events in your life. DRAGON: so many positive indications; It is almost unbelievable! SNAKE: the presence of your astrological allies in this year's chart has positive indications for you. HORSE: your confidence will get a boost, filling everything you get involved in with positivity. SHEEP: opportunities will come thick and fast. Grab them fast because they might not last long. MONKEY: fabulous luck brings potential wealth and abundance in everything you do. ROOSTER: average prospects; still, you have a lot to look forward to this year. DOG: auspiciousness comes from your allies who could wield important influence on your life this year. BOAR: excellent elements spell an incredibly lucky year for you. Each book provides monthly readings for one's career, business, health, and relationships. There are also feng shui suggestions for the home, auspicious fashion and accessories, guide to the lucky and unlucky house orientations for each month, and many more useful tips. The books are now available for pre-ordering for shipping on December 20, 2015. Please call 0920-9509390, 5560615, 4420113 or 8188858 or order online at www.frigga.co.uk. She will also have the 2016 Philippine Feng Shui Convention for the year of the Fire Monkey that will be held at Marco Polo Hotel in Ortigas from 10am to 3pm. To reserved a seat for this convention, please call the numbers above or email maritesallenevents@gmail.com. What's In Store For You In The Year of The Fire Monkey? As your child develops, he begins to have favorites, choosing what to eat and what not to eat. And because he's at that stage when he is most curious about his surroundings, anything can distract him from his meal; his attention maybe grabbed by objects he finds more interesting than food. Sometimes, because of either of these, he won't even touch the food you serve, making you worry that he may not be getting all the nutrients he needs to be completely nourished. Do you know how your child can be 100% nourished (with 3 balanced meals a day) in a healthier way? 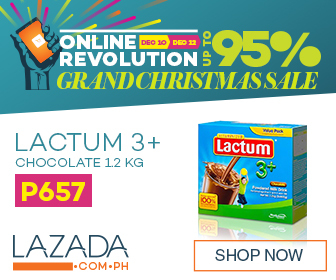 Lactum 3+ is formulated by Mead Johnson for children aged over 3 years old to 6 years old. It is made with the children's reference nutrient intake as guide, that's why it contains essential nutrients found in the food groups of the Food Pyramid. It also has Healthy-Nutri Blend (Fiber, Lower Added Sucrose, Healthy Calorie Blend in line with expert recommendation (WHO/FAO 2003. Diet, nutrition and the prevention of chronic diseases. Joint WHO/FAO Expert consultation. WHO. Geneva) of Lower Sucrose (25% lower sucrose vs previous formulation ), Fiber and Healthy Calorie Blend to help provide 100% nourishment in a healthier way. 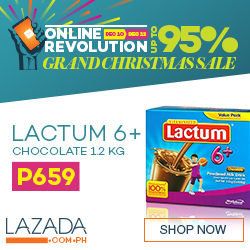 Lactum 3+/6+ Is Now Available In Lazada.com.ph! Girls always wanted to have a beautiful skin and even boys these days become so vain. I was very choosy on selecting facial wash for my face because I don't like to end up regretting on things I've done for myself especially if it is something to do with my daily regimen. Washing of face is one of the most important things to do every day, in the morning and at night time before going to sleep. This should not be skipped in our daily lives. 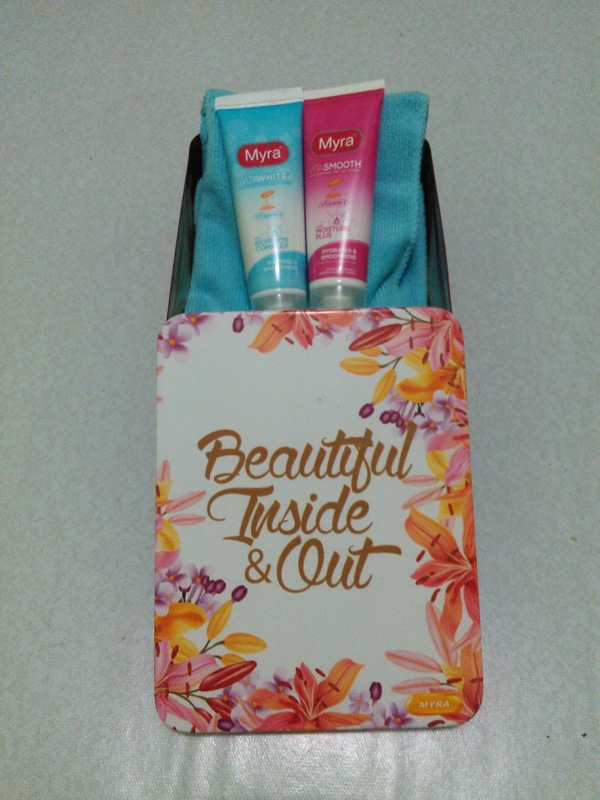 I was lucky to try the newest Myra VitaSmooth and VitaWhite Facial Wash. I actually tried it and I love the soft feeling after I wash my face. They are both multi-benefit products and they are the only facial wash in the market with Vitamin E beads to help keep skin healthy and nourished while riding skin of excess oil and dirt. I will admit that my face is oily and this newest facial wash from Myra is perfect for me. Enriched with antioxidant Vitamin E beads which protect and nourish skin to help keep it healthy with a youthful glow. Has Moisture Plus formula that retains and seals in skin’s natural moisture, keeping it hydrated and more supple. Contains French Spring Sea Water and Aloe Vera Extract that improves skin elasticity and helps keep it smooth and young-looking. And of course, because it's from Myra, it is hypoallergenic and dermatologist tested to be safe for everyday use. Has Biowhite Complex which is derived from plant extracts that gently whitens skin. Has Niacinamide that evens out skin tone by reducing red blotches to make skin more radiant. You can also check out their newest TVC for Myra VitaSmooth and VitaWhite Facial Wash.
Keep in mind that the more you take care of your skin, the healthier it will become and the more beauteous you are! 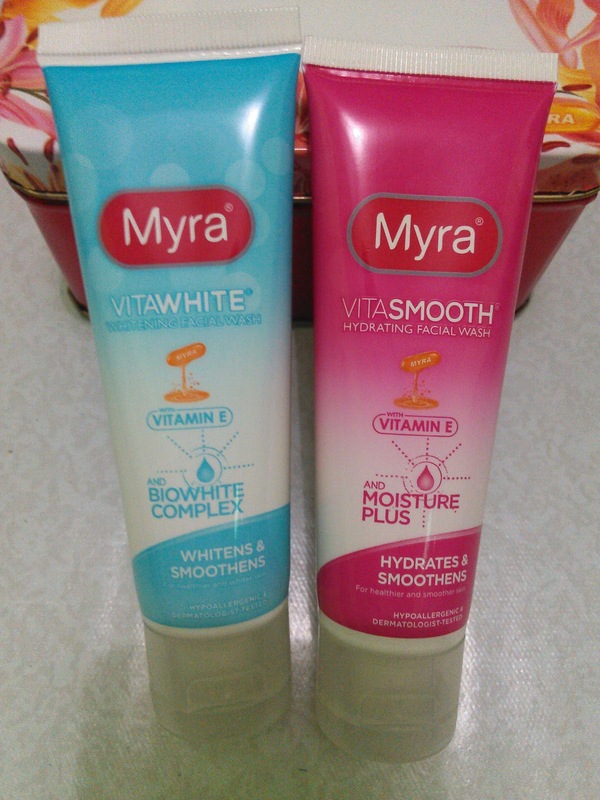 Have You Tried The Myra VitaSmooth and VitaWhite Facial Wash?